Point2 Homes gives you far more than a simple list of houses for sale. Get instant access to a lot of relevant information about Cranbrook, BC real estate, including property descriptions, virtual tours, maps and photos. The search results pages also have a wealth of information on Cranbrook, BC, if you scroll all the way down. 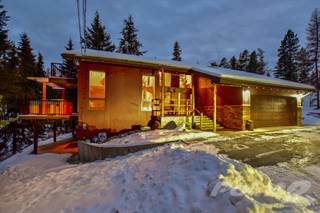 There are 66 houses for sale in Cranbrook, BC. 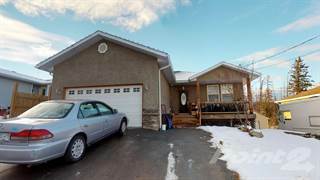 Searching homes for sale in Cranbrook, BC has never been more convenient. With Point2 Homes, you can easily browse through Cranbrook, BC single family homes for sale, townhomes, condos and commercial properties, and quickly get a general perspective of the real estate prices. Also, you’ll never miss a bargain if you filter listings based on house price drops in the past six months. Use the map view to find Cranbrook, BC homes and apartments for sale, based on amenities or city features that you may want close by. You can close in on a specific neighbourhood or area by simply drawing around them with the polygon or radius tools. Stay informed about the latest entries on the real estate market by saving your searches. This way, you get new listings in your inbox, daily or every week, based on your preferences. If you’d like to get in touch with a professional, agents are displayed next to their listings, and they’re easy to contact through the online forms. If you want more options, you can click the Tools tab and Find an Agent, and you’ll get a list of helpful and knowledgeable real estate agents in Cranbrook, BC. Visit the Point2 Homes blog and you can find up to date expert advice on many markets throughout Canada, regular market reports, neighbourhood scoops in cities throughout the provinces, real estate deals and useful recommendations. Established in 1898 and incorporated as a city in 1905, Cranbrook is a city in the southeastern region of British Columbia that hosts around 19,300 citizens and has a land area of roughly 32 square kilometers. One of the secret delights of this small city is the fact that it has more hours of sunshine per year than any other city in the province. This also makes it one of the drier cities in British Columbia, even during the winter season. Cranbrook’s main economic drivers for employment and growth come mostly from the public sector, and from the forestry and construction sectors. Cranbrook is known for offering the best of two worlds – the cozy feel of a small town and the boisterous luxury of the big city. Cranbrook’s main economic drivers for employment and growth come mostly from the public sector, and from the forestry and construction sectors. There used to be a greater reliance on the resource industry until they realized that there was a strong need to diversify their economic strengths. This effort was largely successful, and resulted in 41.9% of working citizens with some form of post-secondary education. An attractive feature of the city is that it is extremely friendly towards entrepreneurs and business owners. Their official website offers numerous resources for those looking to get started, and the city’s location offers ideal conditions for business-oriented individuals. Not only are other major nearby cities easily accessible, but there is also an international airport here. This creates a massive opening for provincial, national and international markets that have untapped potential. Cranbrook is known for offering the best of two worlds – the cozy feel of a small town and the boisterous luxury of the big city. It is regarded by many tourism experts as a true mountain community, where people are more than content to spend the rest of their lives. People can choose to live comfortably in the center of the city, and take an easy commute towards the wilderness. The fact that Cranbrook experiences true winter and summer seasonsallows for a diverse range of activities to become available. It also helps that Cranbrook is regarded as one of the safest cities in the province, which contributes to the high level of satisfaction reported by local citizens. With all of these features, it is surprising to see that Cranbrook experiences a very low level of annual population growth! As a small mountain city, there is only a slight distinction between the town center area and the rural area. The town center area is home to all the major businesses, schools, annual events, and shopping malls. This makes it a welcoming community for startups and other companies. The rural area, on the other hand, hosts the wildlife and the trail parks that the city is known for. Outdoor enthusiasts and those preferring a quiet life will tend to spend most of their time in this area. Cranbrook is primarily home to traditionally designed homes, some dating all the way back to the early 1900s. You can expect to see an abundance of fully detached residential homes, bungalows, and mansions within the city. Newcomers will be surprised to see that there are very few low-rise condominiums and apartments available for rent. The homes are fairly expensive, costing anywhere from mid 6-figure sums to low 7-figure sums. 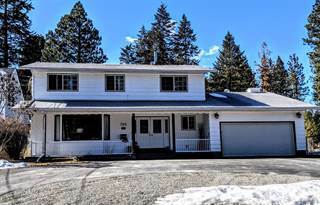 The real estate market in Cranbrook is particularly enticing to those who enjoy having a beautiful view of nature without having to leave their homes. There is only one post-secondary institution in Cranbrook, and it is known as the College of the Rockies. Although it only has 2,500 students in total, it offers a wide variety of programs across multiple sectors that lead to the acquisition of a bachelor’s degree, an apprenticeship or a diploma. They offer courses both in-class and online, which makes educational pursuits easier for those who don’t have the means to attend class in person. Although some students choose to stay in Cranbrook, others choose to leave the city for post-secondary education after they graduate from high school. There are only 8 elementary schools (K-8) in total, each offering their own unique strengths in a wide variety of aptitudes. Parents are usually aware of their children’s talents, and choose the school that will allow them to foster those talents even further. Some of the top schools in Cranbrook include (but are not limited to) St. Mary’s, Steeples, and Gordon Terrace. These schools are chosen because of their standings in reading, writing and mathematics. If you are a big fan of the outdoors, Cranbrook is the place to be. Golf enthusiasts should head on over to the Cranbrook Golf Club for a fast-paced 18 holes at an affordable price. The community forest offers plenty of scenic nature and trails to explore, covering a grand total of 2,000 acres. There are also plenty of options available for those who prefer to stay inside – restaurants, shopping malls, mom & pop shops, and more! For those of you who are history buffs, it would be worth your while to check out the Canadian Museum of Rail Travel. Cranbrook was hugely involved in the construction of Canada’s railways, and you can learn more about the city’s involvement in this historic development. The Fort Steele Heritage Town is another place that comes highly recommended by local inhabitants. Here, you will have the privilege of seeing this formerly prosperous city preserved as an artifact of Canadian history in the 20th century. In addition to heavy participation in building the BC Southern Railway, mining was a major contributor to the region’s economic development.